There are a few ways to get from Seattle to Vancouver BC—you can fly, you can ride the train, you can take the BoltBus or Greyhound. Or you can drive (check road conditions before you go). Really, the distance is not so far that the drive is a tough undertaking. You can make the journey in a little over two hours if traffic is in your favor (don’t count on it) and if the border crossing is moving along swiftly (it’s usually worse coming back). Or you can enjoy a few stops along the way and turn a short jaunt into a little adventure! Not far north of Seattle is a factory in Everett. It’s homegrown. It’s filled with local pride. It’s also the largest building in the world by volume. It’s the Boeing Everett Factory and it’s worth a stop if you have a couple hours to spare. If you’re an aviation fan, the appeal is obvious. Even if you don’t care much for planes, the tour is worth it for just how large the building is and to see how the assembly line for Boeing 747, 767, 777 and 787 works. Also not far north of Seattle is a small waterfront town called Edmonds. If you are more for far flung adventures than flight history, visit Rick Steves’s Travel Center. If you don’t want to stop for long, pop in and peruse the travel literature, pick up a map or scout some travel gear. Or plan ahead and see who might be speaking. The Travel Center offers classes on specific locations as well as travel skills and strategies. Time it right and you might even catch Rick Steves himself. For gamblers or those who seek a little retail therapy along the way, the Tulalip Resort and Casino and Seattle Premium Outlets are located side by side off of Exit 200. The casino is fairly large and offers all you might expect from table games to slots to the requisite buffet. Seattle Premium Outlets are some of the best outlets in Western Washington and can easily turn into a multi-hour shopping sojourn if you’re not careful! If you want to take the scenic route, you can hop off of I-5 and take the ferry from Mukilteo to Whidbey Island. You can then drive north through Whidbey Island on Highway 525 and Highway 20 to rejoin with I-5 near Burlington. This takes a little longer, but Whidbey Island offers something a little different—wilder beaches, quaint Oak Harbor, and Deception Pass State Park. Of course, if you take this route, count on taking significantly longer than a quick zip up I-5. Another option for a detour via scenic byway is to take Chuckanut Drive, which branches off I-5 at exit 231. The drive doesn’t take you too far out of your way and starts in the Skagit Valley and finishes in the historic Fairhaven District of Bellingham. Aside from the super scenic drive, you can also explore Fairhaven if you want a stop where you can enjoy a farmer’s market as well as cute and cozy shops and businesses. For something a little unique, visit Lynden—the second largest city in Whatcom County (the same county where Bellingham is located). Lynden has some Dutch influence to it, including an inn where you can stay in an actual windmill (The Mill). Otherwise, check the events calendar to see if anything is on during your visit, dine at The Mill or stop in for a pastry at Lynden Dutch Bakery. Right before you go over the border, you can stop in Bellingham. 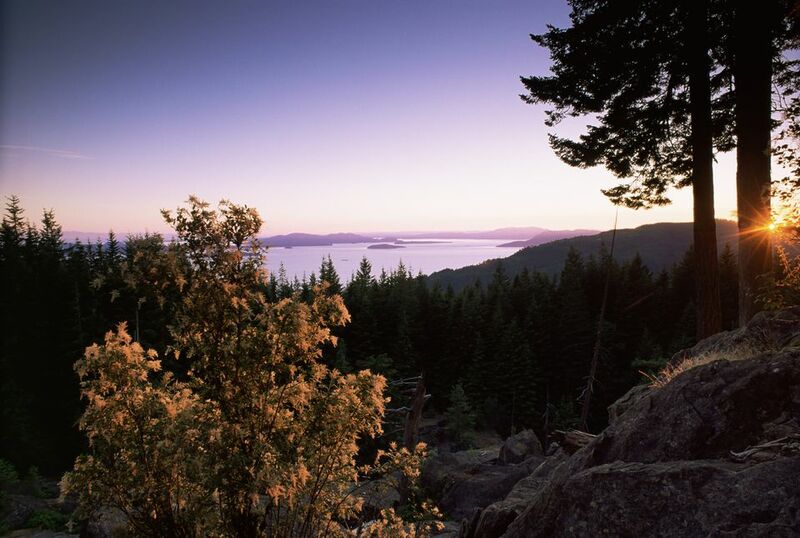 Bellingham is large enough that there’s a bit of everything, from beautiful parks to galleries. The city is notably outdoorsy and not far from Mt. Baker for skiers and hikers, or from the San Juan Islands, known for whale watching and kayaking opportunities. Worthy of some exploration is the historic Fairhaven District. At the very least, it’s a worthy snack or lunch stop if you get hungry and don’t want to wait until you get to Vancouver!